The Easyrest Cloud U-Shape Pillow supports head, neck, and shoulders while adding stability and cushioning to any preferred sleeping or lounging position. Its custom-fit shape resists flattening and is manufactured with durable allergen-free materials. Equally suitable for sleep, TV-watching, or reading, this ergonomic design helps prevent stiff necks and sore backs while promoting healthy living. Filled with lightweight hollow fibres, this pillow retains its shape after many uses and wash cycles. The fibres add longevity, breathability, and volume to the pillow, while the natural cotton cover offers softness and durability. Hypoallergenic materials come pre-treated for dust mite, bacteria, and microbe resistance. Helps reduce respiratory irritation and prolongs the life of your pillow. 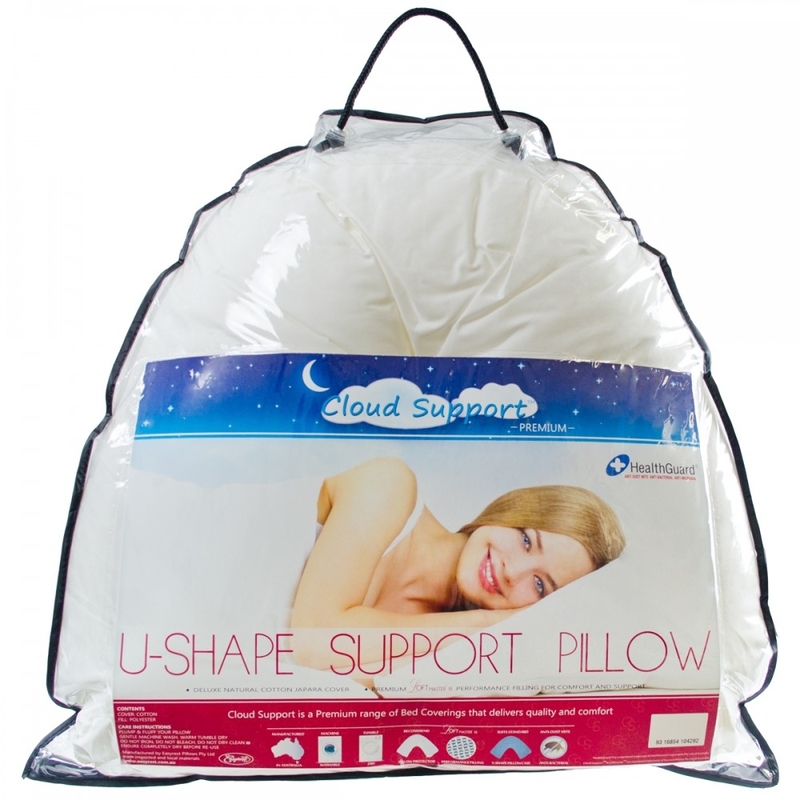 The U-Shape Pillow is also developed for easy care to minimize hassle. Its fibres are optimized to withstand machine wash and dry cycles without compromising the shape or volume of the pillow. Simply wash on gentle cycle and tumble dry, then remove the pillow and fluff to reassume original shape. High quality cotton and antibacterial filling eliminate the need to bleach or iron your pillow. 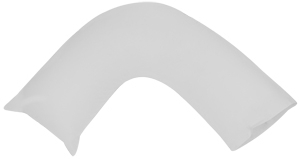 Manufactured in Australia, the U-Shape Pillow brings modern design to your sleep regimen. Its innovative materials and shape help cradle the neck and shoulders for instant comfort. This reduces the need for readjusting, offering you a more peaceful and restful night’s sleep. For couples who toss and turn, the U-shape pillow allows stable and luxurious comfort so you won’t disturb your partner. Pillow is okay to use, but I do find it a bit soft, maybe after a bit of fluffing up and use it might improve, but it’s okay.